Datuk Hasmi Bin Hasnan, aged 65, was appointed Executive Chairman of Dayang Enterprise Holdings Bhd on 1 September 2018. He graduated with a BSc in Estate Management from the London South Bank University, UK in 1978. He is a Senior Certified Valuer with International Real Estate Institute, USA and a member of International Real Estate Federation (FIABCI). He began his career in 1979 as a valuer in the Land and Survey Department of Sarawak. Since 1982, he has been involved in a wide range of businesses, including valuation, project management, property development and management, construction, timber, manufacturing, trading and publishing. In June 1993, he was appointed the Managing Director of Naim Land Sdn Bhd and in July 2003, he became the Managing Director of Naim Holdings Berhad and has since been the main driving force behind Naim Group's growth and expansion. He was awarded the Property Man of the Year for 2008 by the International Real Estate Federation (FIABCI) in Kuala Lumpur. He is a Non-Independent Non-Executive Director in Perdana Petroleum Berhad. Ali Bin Adai, aged 62, was appointed Independent Non-Executive Director of Dayang Enterprise Holdings Bhd on 3 March 2014 and was appointed Chairman of the Board on 25 February 2016. On 1 September 2018, he was re-designated as Independent Non-Executive Director of the company. He graduated with a Bachelor of Art degree from University of Guelph, Canada. 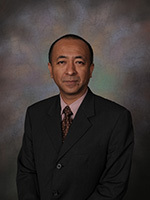 Encik Ali was employed with CIMB Bank Berhad as the Regional Director for East Malaysia (Sabah and Sarawak) until his retirement on 31 March 2013. He was responsible for managing 29 branches and for developing CIMB's Retail, Commercial and Enterprise Banking businesses in East Malaysia. 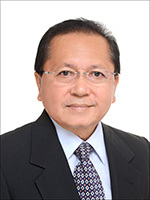 He is an Independent Non-Executive Director of Sarawak Plantation Berhad. Datuk Ling Suk Kiong, aged 71, male, is the founder of Dayang Group of Companies. He established Dayang Enterprise Sdn Bhd in 1980. He was appointed Executive Deputy Chairman of Dayang Enterprise Holdings Bhd on 29 February 2008. He has been instrumental in the growth and development of the Group. He brings with him more than thirty (30) years of experience in the Oil and Gas Industry and is mainly responsible for the overall strategic business direction of the Group. Datuk Ling was appointed as a Non-Independent Non- Executive Director of Perdana Petroleum Berhad on 12 December 2012 and on 24 August 2015, he assumed the position of Executive Chairman. He is also a director in several private limited companies in Malaysia. He was awarded the Sarawak State Entrepreneur Of The Year Award 2009 in Kuching representing the Sarawak Chinese Chamber of Commerce and Industry category. Datuk Ling was conferred the "Outstanding Entrepreneurship Award" for Outstanding and Exemplary Achievements in Entrepreneurship on 13 April 2014 at the Asia Pacific Entrepreneurship Awards 2014 held in Brunei Darusalam. On 13th September 2014, Datuk Ling was conferred the award of Panglima Gemilang Bintang Kenyalang (P.G.B.K) which carries the title "DATUK" by Tuan Yang Terutama Yang Di-Pertua Negeri Sarawak Tun Pehin Sri Haji Abdul Taib Mahmud in conjunction with His Excellenc's 78th Birthday. Tengku Dato' Yusof Bin Tengku Ahmad Shahruddin, aged 54, male, was appointed Managing Director of Dayang Enterprise Holdings Bhd on 29 February 2008. He graduated in 1984 from the University of Toledo in the United States of America with a Bachelor of Science Degree majoring in Civil Engineering. Upon his graduation he joined Modal Bina Sdn Bhd as a Project Engineer. Subsequently in 1988, he took up the position as Sales Engineer with Mobil Oil Malaysia Sdn Bhd. 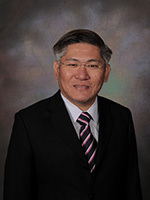 In 1991, he established Hexamas Sdn Bhd. He was appointed Director of Dayang Enterprise Sdn Bhd in 1993. He also holds directorship in Fortune Triumph Sdn Bhd, DESB Marine Services Sdn Bhd and several other private limited companies in Malaysia. Joe Ling Siew Loung @ Lin Shou Long, aged 44, male, was appointed Deputy Managing Director of Dayang Enterprise Holdings Berhad on 29 February 2008. He graduated from University of Western Australia in 1993 with a Bachelor Degree in Engineering. In 1999, he obtained a Master of Business Administration degree from the same university. He began his career in 1994 when he joined Sarawak Shell and Sabah Shell as a Trainee Engineer. In 1995, he joined POG EP. Fochi Joint Venture as an Office Engineer. Subsequently in 1995, he joined Daiken Sarawak Sdn Bhd as a Production Engineer. He joined Dayang Enterprise Sdn Bhd in 1997 as a Project Engineer. In 2004, he was appointed Assistant to the General Manager. In 2008, he was promoted to the role of Deputy Managing Director. He is currently responsible for overseeing and monitoring the management and operations of Dayang Group. 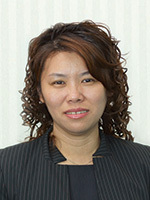 Jeanita Anak Gamang, aged 44, female, was appointed Non- Independent Executive Director of Dayang Enterprise Holdings Bhd on 5 January 2012. She obtained a Diploma in Electrical Engineering from Mara Institute of Technology, Shah Alam in 1995. Ms Jeanita began her career in 1997 as a Trainee Engineer in Dayang Enterprise Sdn Bhd, a subsidiary of Dayang Enterprise Holdings Bhd. From 1999 onwards, she has held the position of Head of Administration responsible for all matters related to administrative and recruitment of office personnel. She was appointed as Director of Dayang Enterprise Sdn Bhd in 2006. Wong Ping Eng, aged 44, female, was appointed Non- Independent Non-Executive Director of Dayang Enterprise Holdings Bhd on 1 October 2013. She obtained a Diploma in Commerce (Financial Accounting) from Tunku Abdul Rahman College, Kuala Lumpur. She is a Certified Accountant with the Malaysian Institute of Accountants and Association of Chartered Certified Accountants (ACCA). Ms Wong has more than 15 years experience in the financial and accounting field. She started her career as Audit Assistant at KPMG, Kuching from September 1997 until December 2000. In 2004, she moved to Naim Holdings Berhad as Accountant. In July 2004 - 2008, she was appointed the Operations Manager for Naim's Bandar Baru Permyjaya project in Miri where she was responsible for managing the whole Miri Operations. In July 2008, she was promoted as Vice President - Finance and Accounts to oversee the Group Finance and Accounts Division. She was subsequently promoted as Deputy Director- Finance & IT Division and in August 2012, she was promoted as Senior Director for Naim's Group Support Division comprising Finance & Accounts, Administration, Human Resource and Information Technology. 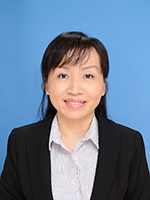 Ms Wong was appointed as an Executive Director of Naim Holdings Berhad on 29 November 2012 and on 9 January 2013, she was re-designated to Deputy Managing Director. She was appointed as a Non-Independent Non-Executive Director of Perdana Petroleum Berhad on 11 September 2015. 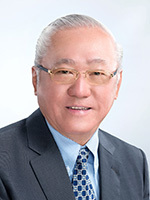 Gordon Kab @ Gudan Bin Kab, aged 61, male, was appointed Non-Independent Executive Director of Dayang Enterprise Holdings Bhd on 29 February 2008. He was re-designated as Non-Independent Non-Executive Director on 2 December 2013 and as Independent Non-Executive Director on 3 December 2015. He graduated from Loughborough University of Technology, England United Kingdom, with a B.Sc (Hon.) degree in Civil Engineering. He has over thirty (30) years of working experience in both Oil and Gas and the Construction industries. He gained extensive experience with Sarawak Shell Berhad for fifteen (15) years and Sime Darby Berhad's Oil and Gas Engineering Division, Esteem Century Sdn Bhd. In mid May 2000, he was engaged by Cahya Mata Sarawak Berhad as a Senior Project Manager (Central Procurement Unit) and then as Senior Project Manager for PPES Works (Sarawak) Sdn Bhd (Northern Region Operation). He then moved on to PPES Marine Resources Sdn Bhd as an Operations Manager in the Deep Sea Fishing Division in charge of vessels management and support. He was engaged by Naim Group of Companies from 2006 to 2009 as Senior Head of Construction, in charge of the operation and execution of major infrastructure, engineering projects and building/institutional complexes and was later appointed as Vice President for the Oil & Gas Division. 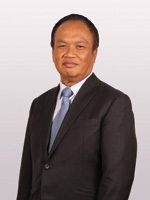 Koh Ek Chong, aged 56, male, was appointed Independent Non-Executive Director of Dayang Enterprise Holdings Bhd on 2 December 2013. He is an accountant by profession. 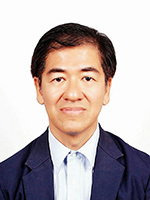 Mr Koh joined Hii King Hiong & Co, in 1985 and is now one of the practicing partners. He is a Fellow member of the Association of Chartered Certified Accountants (UK), a member of Malaysian Institute of Accountants, associate member of the Chartered Tax Institute of Malaysia and a certified member of the Financial Planner Association of Malaysia. 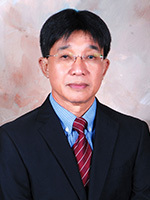 Mr Koh was a City Councilor of Miri City Council since 2004 till 2013. He was awarded "Ahli Bintang Sarawak" (ABS) in 2008 and "Darjah Utama Yang Amat Mulia Bintang Kenyalang Sarawak with the title "Pegawai Bintang Kenyalang (PBK)" on 12 September 2015 by the Tuan Yang Terutama Yang di-Pertua Negeri Sarawak. Mr Koh is an Ahli Kehormat of Ikatan Relawan Rakyat Malaysia with honorary title of LT KOLONEL (Kehormat) RELA. He also serves as the executive committee (EXCO) member in various nongovernmental (NGO) associations and is appointed a member of the Special Committee by the Public Services Commission of Malaysia in January 2014. 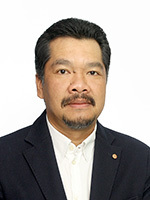 He is an Independent Non-Executive Director of Shin Yang Shipping Corporation Berhad and he is a member of the Board of Directors of Miri Port Authority. Azlan Shah Bin Jaffril, aged 46, male, was appointed Independent Non-Executive Director of Dayang Enterprise Holdings Bhd on 2 December 2013. He graduated in Accounting from University Institute Technology Mara. Encik Azlan started his career as an Investment Analyst with Seraya Kinta Sdn Bhd from 1993 to 1995. He then joined Ayer Molek Berhad, a plantation based company from 1995 to 1997. He was the Chairman of Youth Chamber of Malaysia of the Malay Chamber of Commerce Malaysia from 2001 to 2003. He was also the Vice President of the Football Association of Selangor (FAS) from 2004 to 2006. He is currently a director in various private limited companies in Malaysia.